Program Activities Partners - companies and/or agencies partner with us to provide educational, cultural or entertainment benefits for our matches. 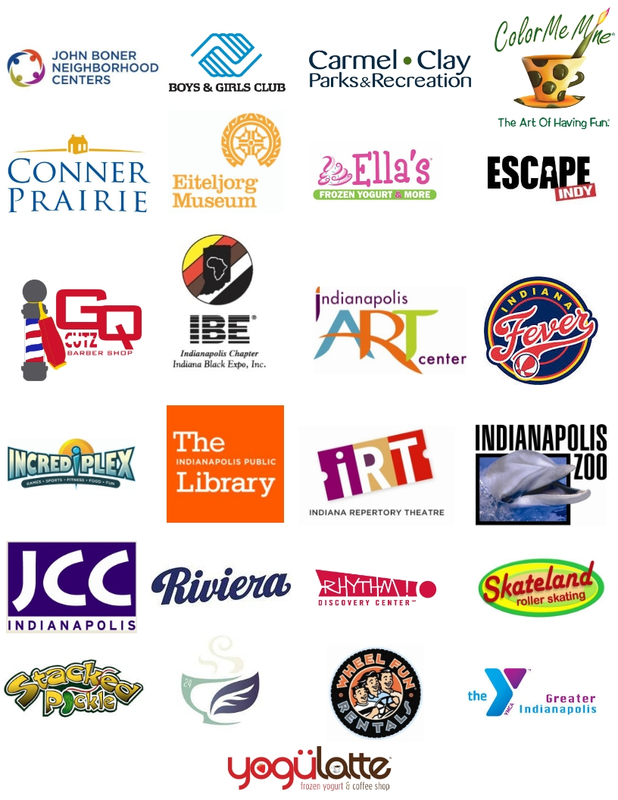 Some examples of this type of partner are: Booth Tarkington Civic Theatre, Boys and Girls Clubs, Incredible Pizza Co., and the Indianapolis Zoo. To find out more about becoming a Program Activities Partner and to donate tickets for events please contact Stephanie Sachs, Manager, Program Events & Partnerships, at 317.472.3709. Recruitment & Volunteer Engagement Partners - Companies know it is good to give back to the community and want to provide a way for their employees to give back as well. Big Brothers Big Sisters works with your company to get information in the hands of your employees via lunch & learn opportunities, recruitment fairs and corporate service projects. To find out more about becoming a Recruitment/Volunteer Engagement Partner please contact Amy Essley, Chief Program Officer, at 317.472.3726. Big Brothers Big Sisters of Central Indiana will work your organization to determine what the best fit is all of us.